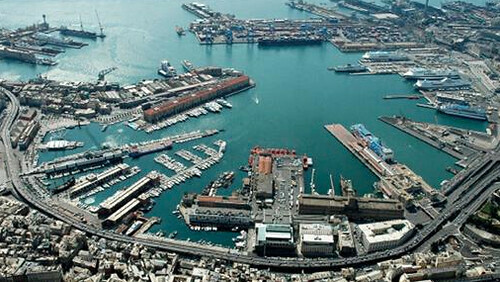 Genova is a city in Italy most associated with the Italian explorer Christopher Columbus. The port city is the capital of Liguria in Italy and is the sixth largest city in the peninsula. The city is one of the largest on the Mediterranean Sea and also one of the largest seaports in Italy. Much of the city is surrounded by an ancient wall, parts of which still exist today. It has been named a UNESCO World Heritage Site and is important for its art, history, ,music, architecture, and food. Among the city’s main sights are the San Matteo Square, San Lorenzo Cathedral, the city’s Lanterna or lighthouse, the fountain in the Piazza de Ferrari, the Doge’s Palace, and the Royal Palace of Genoa. The city also has a number of parks that are suitable for relaxing such as the Villa Durazzo Pallavicini while the old harbour is one of the most ancient in Europe. The city is famous for also its artwork and several important European artists such as Ruben Van Wyck and Strozzi had bases in Genoa. The Genovese cuisine, like that of much of Italy is special and pesto sauce originated there. Some fish dishes are also unique to the city such as pansoti. Places to try Genovese cuisine in the city include the Gran Ristora and Profuma di Roso.